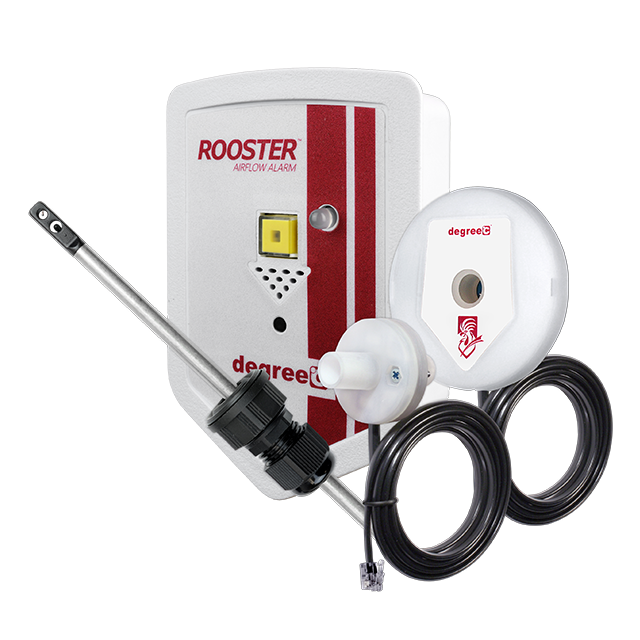 Rooster Alarm | Degree Controls, Inc. Designed as a simple retrofit option for fume hoods and biosafety cabinets, The Rooster™ is a fast, reliable, and affordable way to monitor airflow safety and achieve OSHA or NSF-49/ANSI compliance. 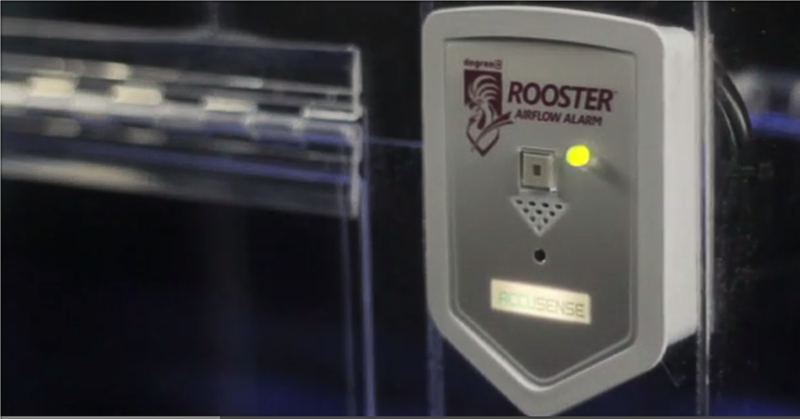 The Rooster™ Alarm provides full time tracking of air velocities within cabinet or exhaust systems to ensure air movement never falls below user-defined thresholds. Normal lead-time is 1 week.